Although the Argentine Polo Ponies are not considered a breed, Argentina is recognized the world over for their fine polo horses, a cross between Thoroughbred and Criollo blood. They are bred to be quick, strong, agile, and to handle the rigorous life of a polo horse with ease. Combining the speed and grace of the Thoroughbred with the tireless work ethic of the Criollo creates horses that look forward to and thrives on hard work. The Association of Poly Pony Breeders was founded in 1984 in an attempt to preserve bloodlines. 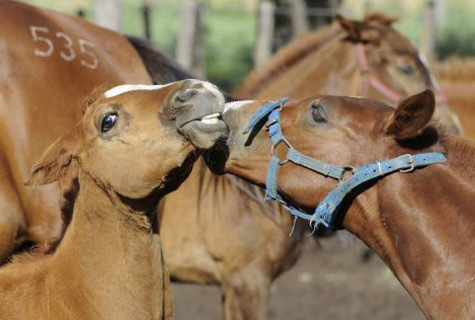 Breeding is controlled closely by Argentine breeders and only proven horses are bred to retain their good qualities. They are bred to retain their type rather than to preserve pure bloodlines.